Stock Beach Flags There are 49 products. Stock beach flags with different auto brands logos and names on them. 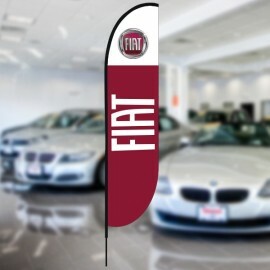 A perfect for used or new cars dealerships. 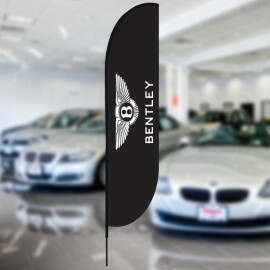 A high quality printing material will ensure that you will receive beach flags with the best possible quality. 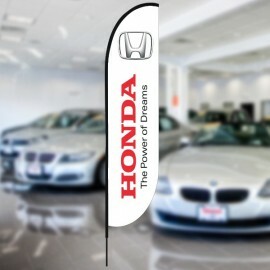 Colourful beach flags have already proven to bring more potential customers to your dealership. 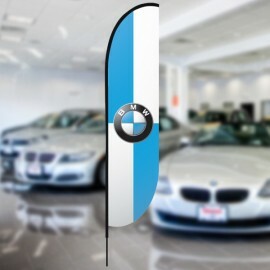 Most importantly, beach flags will be easy to see from the road-side or highway. It will help you to create a live atmosphere inside the dealership which will attract buyers attention. 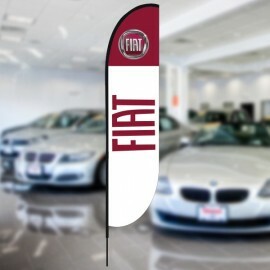 Contact us for more information about auto dealership beach flags. 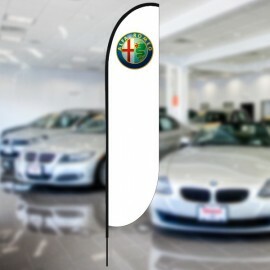 If you would like to purchase a beach flag with a different car brand on it. We will help you! Also, don't forget that we are always up to finding the best solution for you with the best possible price. Flagsandmore are offering you our stock "Sale" beach flags collection with different, colourful designs. This is a quick, money and time saving method to draw additional attention outside your store. Sale beach flags are a perfect for a new businesses or the ones which try to increase the foot traffic towards their shop. It is a must for your outdoor advertising. All sale beach flags have an easy to read text and it stands 410 cm / 161,41" in height with standard hardware. Our "Sale" or "Discount" beach flags were already used by thousands of people throughout the globe and the results were only positive. Simply select the design your like, choose the base type and purchase it now. It's a quick and cheap, but very effective way to receive extra attention towards your store from the people around it. 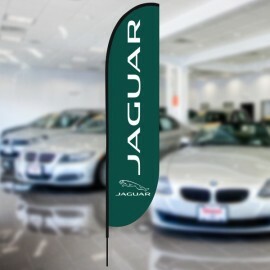 Stock Beach Flags - easy and quick way to improve your sales by attracting additional customers to your business, shop or event by purchasing a stock beach flag with time-tested designs. A perfect way to save money and time. Stock beach flags with already prepared designs just for You! A huge variaty of designs with a high quality prints on long lasting, 115 gram / m2 polyester. Colourful designs will help to attract additional attention towards your businesses, shops, events and so on. 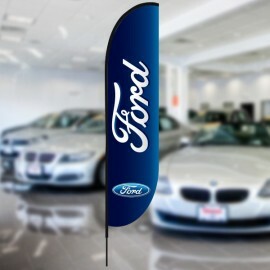 These stock flags are a great time saver! You will only need to select the category you are interested at and then select the design you like. If there are a design which you like, but want to have it edited - just contact us and we are going to help you out.